As a homeowner in Panama City Beach, Florida, you already know what a joy it is to live in a place that others look forward to visit for vacation. With its combination of gorgeous white-sand beaches and clear-blue water, is it any wonder that this part of the Florida Panhandle is also known as the Emerald Coast? 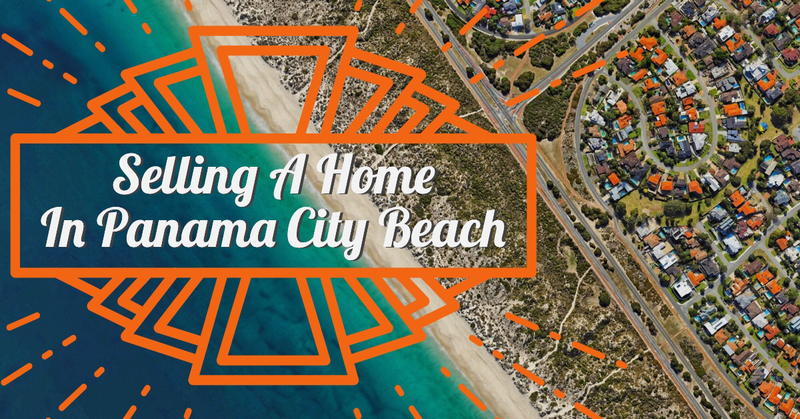 Panama City Beach is truly a unique town with a thriving tourist economy,luxury properties, beachfront condos and subdivisions that appeal to a wide range of prospective home buyers. If you need to sell a home in Panama City Beach, it would be to your advantage to contact a professional and trustworthy Realtor with a real estate office in Panama City Beach. By preparing a comparative-market analysis, your REALTOR will be able to help you determine the marketable value of your home and establish an appropriate asking price. In addition to such things as square footage and the number of bedrooms or bathrooms, your home’s value will also be determined by its location, recently sold similar properties and other amenties. As an obveous example, the same home, if located directly on the beach, generally has a higher value. Beachfront homes and condos are in very high demand in Panama City Beach. Whether you choose to live there year round, or rent it out as a vacation rental. Once you have decided to sell your home, you will have to make a myriad of other decisions that all could impact the sale of your property. For instance, how quickly do you need to sell your home? Are you in a position that will allow you to wait until you receive the offer you want, or will you have to compromise on price in order to move the property quickly? Are you willing to pay some of the buyer’s closing costs? These critical decisions are best made with the help of an experienced agent who is familiar with the Panama City Beach area. You need someone who will be with you each step of the way—someone who can act as your guide throughout the process. In order to reach the largest number of prospective home buyers, you will want to make sure that your real estate agent not only lists your home in the MLS, but has a popular real estate website that buyers frequent. Its important today that real estate websites include ALL listings by ALL real estate brokers. Miller and Associates Realty provide a full MLS search for Panama City Beach. In a resort community with a unique beach lifestyle such as this one, it is not enough to simply market a home on a local and regional basis. It is vital that your home is marketed on a national or even international basis, as many investors around the world would love to buy a home in Panama City Beach, either as an investment rental or perhaps as a second home for themselves. The sale of a home is always a big decision. For many people, it is the largest financial transaction of their lives. Even the smallest detail missed can cost you thousands of dollars. You want a real estate broker that has decades of experience selling real estate in Panama City Beach and the 30A corridor. Let Miller and Associates walk you through the process as we have done for thousands of residents and investment property owners here in Panama City Beach.